Cupcakes, as we know, a cake in a bowl of rice paper or stamped on it with different types of toppings and a variety of toppings that attract enthusiasts so for anyone who wants to see it be tasteful and taste. The cupcakes themselves have a lot of rage since its emergence is already very long. Various innovations developed so that looks very sweet cake with various topping is more popular and more attractive for consumption. Cupcakes preferred variety of backgrounds and ages. Starting from children who are tempted by topping topping unique and very interesting, adolescents and parents were so many who love cupcakes in addition to topping is very tempting, cupcakes also have delicious cakes under the toppings. Soft texture, taste delicious and combined with the toppings on it to make cupcakes as if not enough if only eat one fruit alone. especially served with hot tea and small fruits are cut smaller while relaxing in front of the house or in the living room while reading a magazine or watching television too. Cupcakes now comes with a highly varied toppings. Ranging from standards such as chocolate, vanilla, cheese, capuccino, fruits, cupcakes can be given toppings to suit our tastes. 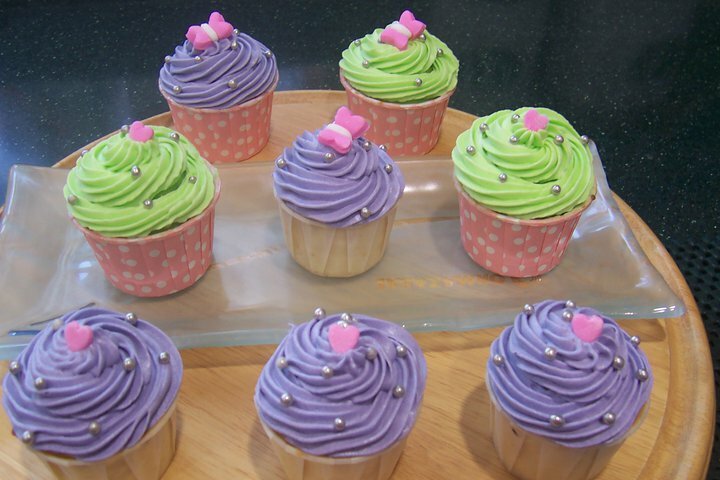 If you are a fan of cupcakes and want to make it at home, you certainly can do it because the materials used are also easily obtainable. In addition, hygiene and health is assured and you can add anything as a topping of your choice. Here is how to make cupcakes with vanilla topping. 1 Stir butter, sugar, vanilla esence with mixer until batter is smooth and fluffy and pale. Then, enter the egg, beat again until fluffy. 2 Combine flour and milk, stirring until all the dough flat. 3 Pour into a pan of cupcakes, but not to the full, his 2/3 of the pan. 5. Lift cupcakes and serve with hot tea. 0 Response to "CARA MEMBUAT VANILLA CUPCAKE How to Make Vanilla Cupcakes "